Our lovely double storey home offers spacious, upmarket accommodation situated on a internationally acclaimed Golf Estate, walking distance from the beach, shops and restaurants. Our decorating style can be described as classic contemporary. Our home is only 2 years old but we managed to establish a very nice (fairly large) garden. 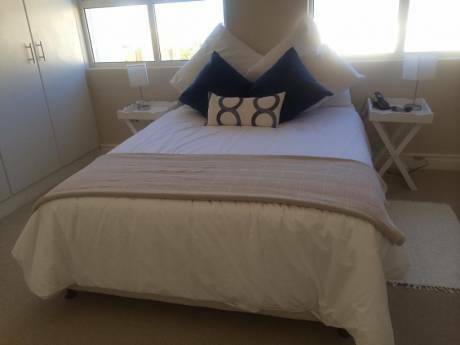 The 4 bedrooms and 3 bathrooms(main en-suite) are comfortable and has all the modern luxuries. Great entertainment areas (lounge, dining room and kitchen) flows onto huge covered veranda (with built in barbeque, pool table and swimming pool. We love our home on this very secure, farm-like estate and even has little "springbokkies" (indegenous buck) walking around on the golf course and the homes. We are a stroll away from the clubhouse with an olympic size pool, floodlit tennis courts and gym. We are a couple in our forties with two well behaved (most of the time) boys. Renaldo is 15, and Peter-John is 11. We love travelling and when time and money permit we do. My husband Dudley is a property developer and I am a real estate broker. Dudley is a keen golfer (single figure handicap) and I love music and art. We work very long hours and love to relax at home and have therefor turned our home into a real haven. 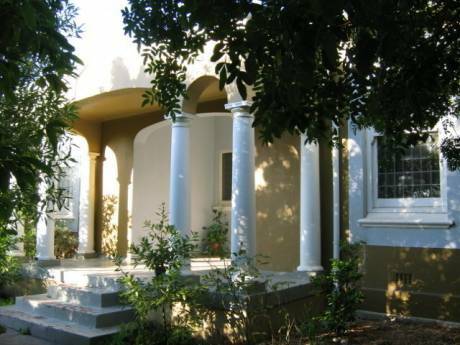 We have had two great home exchanges - one to Perth and a second to the south of France. We are a home proud family and would like to exchange with a like minded family. We have respect for other's property and will naturally expect the same treatment of ours. 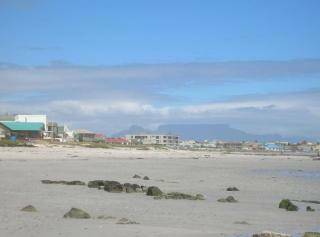 Our Estate is situated in Melkbosstrand (West Coast) which is a small village-like coastal town 20 min. drive from Cape Town CBD and waterfront. We boast with the world famous view of Table Mountain and the atlantic ocean!! There are popular restaurants (seafood, steak, Thai, sushi, fastfood) within a leisurely stroll from the estate. The security in our estate is very high tech and regarded as one of the best in South Africa. This area is also known as the "active coast". From sunrise to sunset, against the backdrop of the world famous view of Table Mountain, the action beginsâ¦â¦â¦. Golf, choose either the only true links course in Milnerton,(the only one in S.A), or the brand new challenging course at Atlantic Beach near Melkbos. Surf is Up â internationally renowned shores offer a wide range of surfing, from Para, sail board, board and body boarding. Bird Watching - observe the many different and abundant birds either by canoe, or from the Golf Course, or walk alongside the lagoon riverside. Whale Watching â all along the West Coast! Spring Flowers â Mother Nature at her best on the West Cast! Shopping â till you drop at Africaâs largest shopping centre - Canal Walk! Adrenalin and Thrill seekers âRatanga Century City is the place to be!! Or stay at home and relax with a sundowner next to the pool.